A great value for money package if you can't afford or don't need a top of the line sequencer. Cubase Essential 4 supersedes Cubase SE 3 as the cheap and cheerful, 'lite' version of Cubase, and with an RRP of £119 it's definitely a lot less expensive than the full-on Cubase which has an RRP of £649 (though it can be had for £349 online). Despite the heavily reduced price tag, the feature set remains competitive. You get less audio tracks (64), physical inputs and outputs (16), and VST instrument slots (16) to play with, but still easily enough to put together some serious productions. Other limitations include the lack of the Control Room screen, a single mixer view, a single automation mode, no recording from busses, and - shock horror - no sidechain routing! There are some omissions on the plug-ins side too, but that's no real hardship, as most can be substituted satisfactorily with freeware, if needs be. 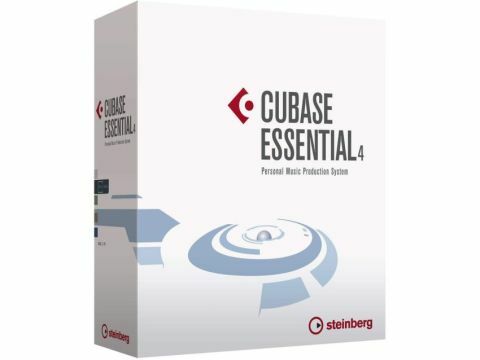 If you think Essential 4 is a bit too restrictive, the more powerful Cubase Studio 4 (RRP £299; £180 if you shop around) might it your requirements, but for almost all users who would consider buying a product in its price range, Cubase Essentials 4 is a superb buy.